If you enjoy doing and reading about yoga, check out this Amazon Deal of the day! 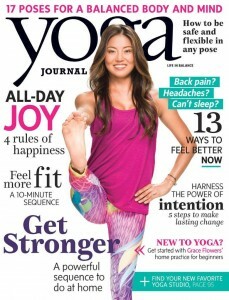 You can get a 1 year discount magazine subscription to Yoga Journal with auto renewal for only $8.95! Throughout the year, you will receive 9 issues of the magazine. Once you sign up for a subscription, you will receive your first issue within 6 to 10 weeks.